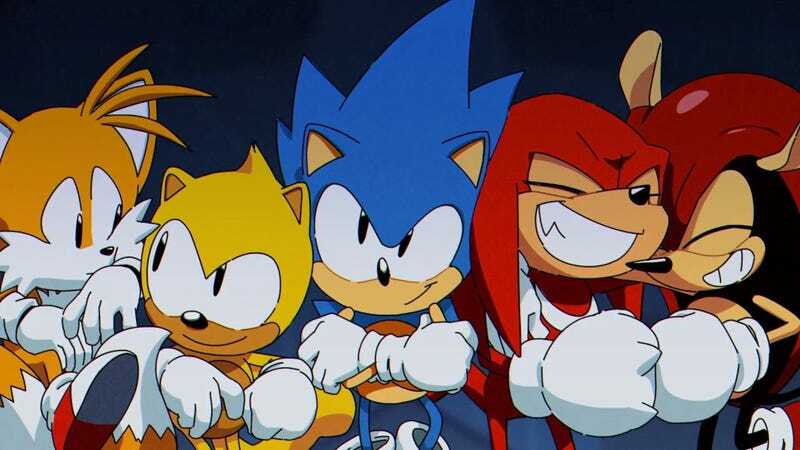 Sonic Mania’s blend of classic stages and ROM-hack inspired originals created a mix tape of everything awesome, fast, and blue. The Encore DLC, released today as part of Sonic Mania Plus, embraces the mixing and matching that made the base game great. Sonic Mania Plus is an expanded version of the original game that has new characters and an extra “Encore” mode. Encore Mode is less of a level expansion pack and more of a light rearrangement. The game’s stages get new patterns—although familiar setpieces like Chemical Plant’s underwater block room remain—and they’ve been touched with new colors. A smattering of transplanted and changed enemy placements forces players to reassess their paths through levels. While the levels are not radically different, the addition of two new characters really shakes things up. This version of the game adds Ray the Flying Squirrel and Mighty the Armadillo. These obscure characters hail from the 1993 arcade game SegaSonic the Hedgehog, and they bring a lot of excitement to Sonic Mania. Mighty is the more straightforward of the two. He’s incredibly strong and able to bash through walls, as well as use a ground pound to break into entirely new sections of each level. These relatively small tweaks inject a new sense of exploration to the game. Sure, you might want to just go fast down the main path, but smacking through levels as Mighty helps the game world feel big. He’s a good character if you enjoy finding secrets or hunting for rings. Ray is the real star here though. He has the ability to glide on the air, but unlike Knuckles there are very few limitations once you’re flying. It takes a while to learn, but if you pump your controller back and forth, Ray can dive and pitch on the wind. Mastering that allows players to zip through levels and avoid most hazards. It sometimes feels a bit like cheating, but it’s balanced out by the fact that you’re helpless in the air should you crash into an enemy. The end result is a character who rewards level familiarity. With enough practice, you can weave through hazards and never touch the ground. It’s as fast as running with Sonic, but with an extra dash of freedom. Encore Mode allows you to run around with multiple character at once, letting you really break levels wide open. You start with Sonic and one of the new characters, but finding powerups within levels can add more to your group. Having extra characters protects you from dying as long as you have a teammate left to pick off where things were. This makes mistakes less punishing. Swapping between characters shuffles how players need to tackle levels mid-playthrough, keeping things fresh. 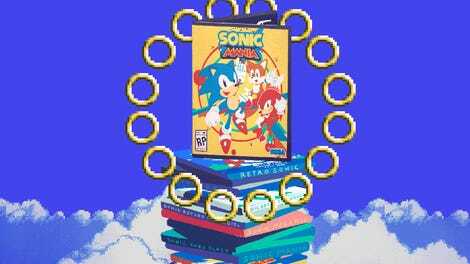 Sonic Mania Plus iterates upon the freeform design that made the original game so wonderful. The Encore DLC’s new characters fit right in and add new ways to experience levels. It’s not a revolution, but a small tweaking that nevertheless brings a lot of fun to an already joyous game.